Heineken is pulling an ad campaign with the tagline “Sometimes Lighter Is Better,” the company confirmed to Business Insider on Tuesday. 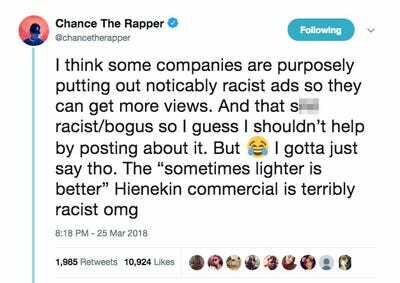 Heineken is pulling an ad campaign with the tagline “Sometimes Lighter Is Better” after some critics said it was racist. The company confirmed to Business Insider on Tuesday that it is not only pulling the ad that inspired social media backlash on Monday, but the entire ad campaign itself. 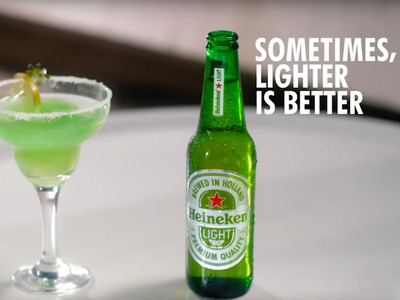 Heineken only recently launched the “Sometimes Lighter Is Better” campaign. The campaign’s two commercials that had been uploaded to the beer brand’s YouTube page last week were deleted on Tuesday. In the ad that Chance posted, a bartender spots a light-skinned woman about to drink a glass of wine. He speedily grabs a Heineken Light and slides it in her direction. The bottle is shown passing three people – all men and women with significantly darker skin – before coming to a halt next to the woman’s glass of wine. 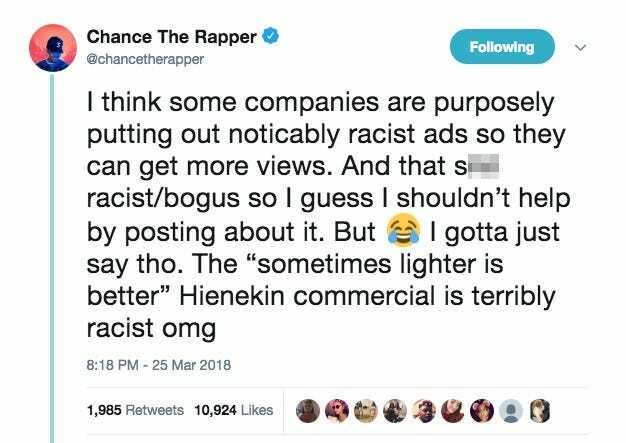 Others on social media echoed Chance’s sentiment. “It’s like blatant ‘subtle’ subliminal racism,”another tweeted. Two other now-deleted ads from the Dutch brewer’s campaign also featured light-skinned people being offered Heineken Light. Those ads, however, did not show the drink sliding past darker-skinned people.